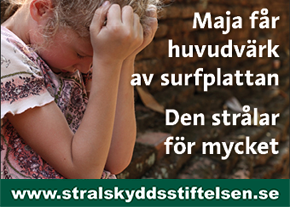 In 2017 the Public Health Agency of Sweden (Folkhälsomyndigheten) published a report on environmental health issues (Miljöhälsorapport 2017) that included a section on EMF health risks authored by Anders Ahlbom (AA) and Maria Feychting (MF), both professors from the Karolinska Institute. 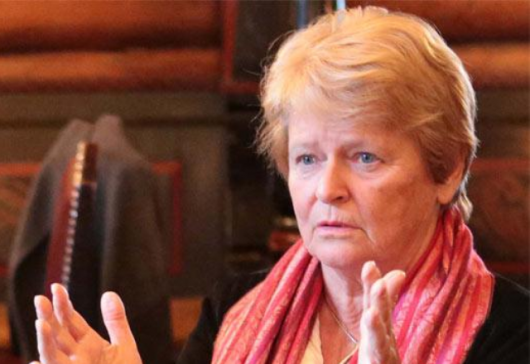 The report from Anders Ahlbom and Maria Feychting is grossly misleading about what has been reported from the research. Read more and see all the diagrams. 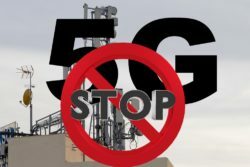 Over 180 scientists and doctors from 35 countries sent a declaration to officials of the European Commission today demanding a moratorium on the increase of cell antennas for planned 5G expansion. Concerns over health effects from higher radiation exposure include potential neurological impacts, infertility, and cancer. 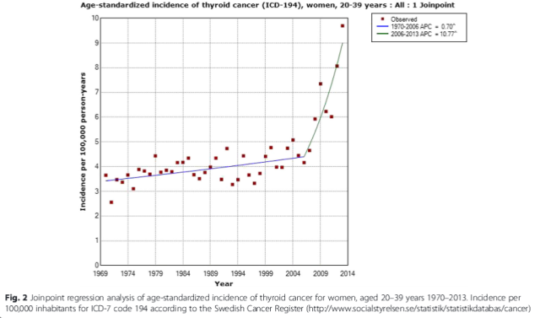 A new scientific article from leading Swedish epidemiologist and oncologist Lennart Hardell’s research team confirms that there is a substantial increase in patients diagnosed with thyroid cancer during recent years in Sweden as well as in other Nordic countries. The increase has coincided with the growing use of so called “smart phones”. These popular phones expose the radiation sensitive thyroid to high radiation due to the antenna’s placement at the lower part of the device. Another possible factor behind the increase is increased use of computed tomography in health care. 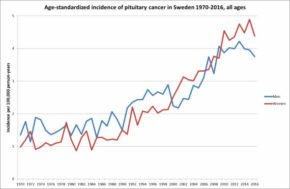 The researchers examined cases of thyroid cancer reported to the Swedish Cancer Registry in Sweden between 1970 and 2013. Their scientific article published in BMC Cancer in July 2016 notes that the radiation sensitive type of thyroid cancer (papillary) in particular is increasing among both women and men. In recent years there has been a break of the trend with a much more pronounced yearly increase in thyroid cancer incidence. A particularly alarming increase is seen among women aged 20-39 years (see the chart below of the number of cases per 100 000 inhabitants). 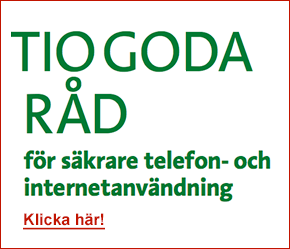 In 2008, Apple introduced iPhone in Sweden that quickly became very popular. A complaint from 20 organisations to the European Commission about the SCENIHR 2015 opinion on health effects from electromagnetic fields was sent on September 2, 2015. 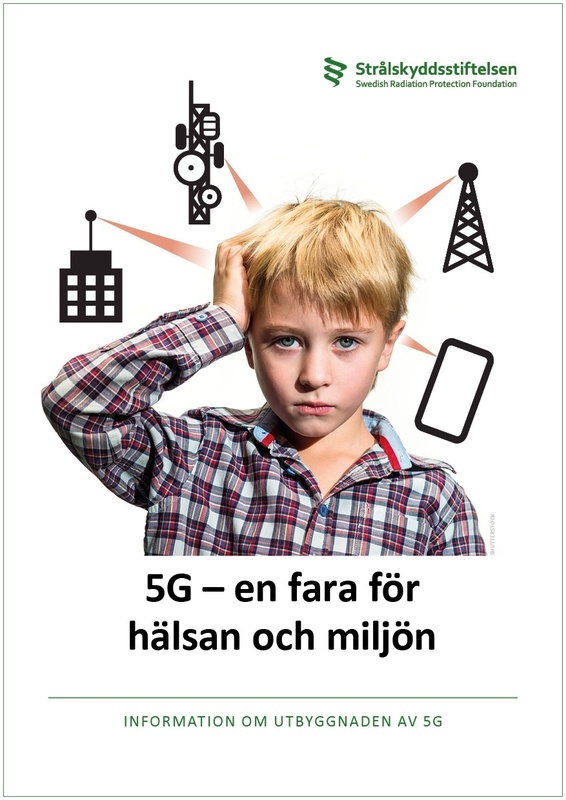 The organisations call for an annullement of the misleading and biased SCENIHR 2015 report on EMFs and a new balanced and independent assessment by scientists without ties to the industry concerned about the outcome of the opinion. The SCENIHR 2015 report is biased and misleading. The experts behind the SCENIHR report are not representative of the scientific expertise in the field. They only represent the industry friendly single side of the expertise, in well known contrast to the opinion of a large and increasing number of scientists in the EMF scientific arena. 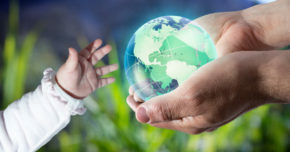 As an example, in May 2015 195 international EMF scientists sent an appeal to the United Nations, the WHO and it’s member states calling for better protection for the public from known health risks, more stringent standards and broader information to the public. Many of these 195 scientists are well respected, with decades of experience from the EMF health effects research. 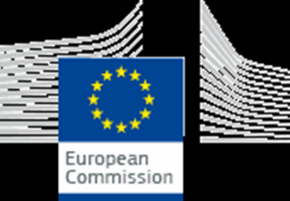 There is evidence that clearly, convincingly and increasingly establishes that there are many potential negative health effects and health hazards: brain tumours, cancer, neurodegenerative diseases, damage on fetuses and stress related diseases, as communicated to the Commission by the Bioinitiative group. 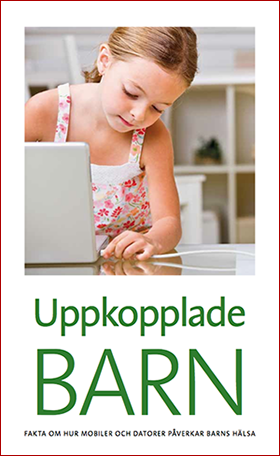 The SCENIHR report ignores the scientific evidence of health risks from levels of exposure to electromagnetic fields that practically everybody is increasingly exposed to, including small children, in most countries in Europe today. It is a disservice to the people of Europe and an indirect threat to their health. The former Director General of the UN World Health Organisation and former Prime Minister of Norway Gro Harlem Brundtland recently said during an interview with Norwegian newspaper Aftenposten that she gets a headache right away if she puts a mobile phone to the head. 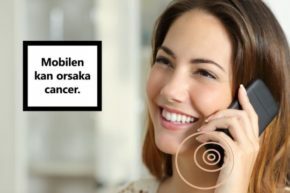 She also said that she has had health problems from mobile phone radiation for 25 years, and that research shows that there is no doubt that there are adverse health effects linked to this technology. – I want to say that you should protect yourself. Do not keep the cell phone in your pocket, she cautioned. 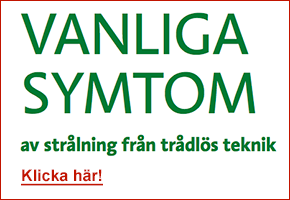 An increasing number of patients are treated for brain tumor “of unknown nature” in Sweden since 2008, but the increase is not reflected in the national cancer registry. 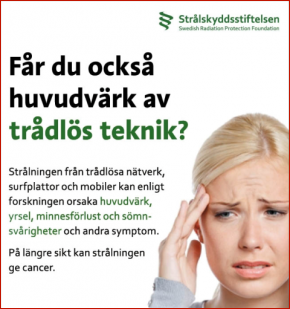 – It is serious if the statistics on new cases of brain tumors is incorrect because the brain tumor statistics is widely being used as an argument that cell phones do not increase the risk of cancer and brain tumors, says Mona Nilsson, Chairman of Swedish Radiation Protection Foundation.